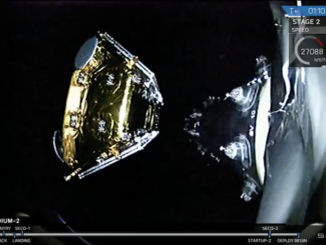 The third satellite to join Japan’s Quasi-Zenith Satellite System took off at 0529 GMT (1:29 a.m. EDT; 2:29 p.m. Japan Standard Time) Saturday, eight days later than originally scheduled. Weather pushed back the mission’s initial Aug. 11 launch date, and a leaky helium pressurization system scrubbed a launch attempt Aug. 12, forcing ground crews to roll the rocket back to its hangar for repairs. The 174-foot-tall (53-meter) H-2A launcher, powered by a hydrogen-fueled main engine and four strap-on solid rocket boosters, headed east from the Tanegashima Space Center, a spaceport built on an island at the southwestern edge of the country. Climbing through a clear afternoon sky on 2.5 million pounds of thrust, the H-2A rocket quickly exceeded the speed of sound and left a twirling column of exhaust in its wake. The four solid rocket boosters let go from the launcher around two minutes after liftoff, and the shroud covering the Michibiki 3 spacecraft jettisoned a couple of minutes later. The H-2A’s cryogenic upper stage engine performed back-to-back burns to guide the Michibiki 3 satellite into an oval-shaped geostationary transfer orbit that will take the payload more than 22,000 miles (nearly 36,000 kilometers) above Earth at its highest point. The Japanese launch team reported no issues during the flight, and they announced an on-target separation of the Michibiki 3 satellite around 29 minutes into the mission, prompting applause from engineers in the H-2A control center. 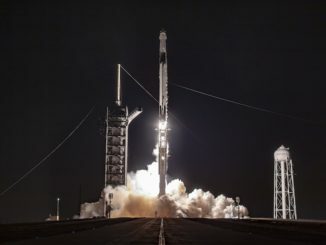 The satellite was expected to radio its status to a ground station soon after launch, and Michibiki 3’s on-board engine will conduct multiple firings over the next few days to circularize its orbit at geostationary altitude — around 22,300 miles (35,800 kilometers) over the equator. Built by Mitsubishi Electric, the navigation craft joins two similar satellites launched on H-2A rockets in September 2010 and in June of this year. Those previous spacecraft circle Earth in orbits tilted at an angle to the equator, causing them to oscillate north and south, but remain always fixed over the Asia-Pacific region. 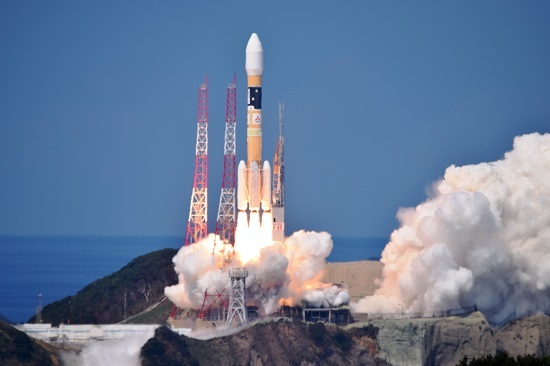 A fourth Japanese navigation satellite will launch later this year on another H-2A flight. Japan is not the country developing a regional navigation fleet to improve GPS signals over its territory. India has launched seven navigation satellites — with an eighth due for liftoff later this month — to work in concert with the GPS satellites across the subcontinent. 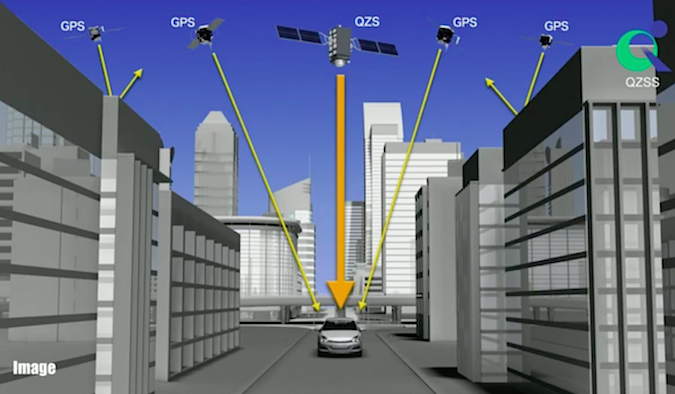 Meanwhile, European nations and China are developing and deploying separate navigation networks to provide global services independent of the GPS constellation. Russia already has its own satellite navigation system with near-global coverage.